Note: The Organ Procurement and Transplantation Network recently incorporated sodium into their new MELD Score as of January 2016, using a different model than MELD-Na. We recommend using the new MELD Score primarily. The MELD-Na may improve upon the MELD Score for liver cirrhosis. Patients should be evaluated for transplant if no reversible causes of cirrhosis can be identified. Sodium is limited in a range of 125-140, and if outside of these bounds, is set to the nearest limit. The MELD-Na has been found to have a better fit for mortality prediction compared to the MELD score alone. 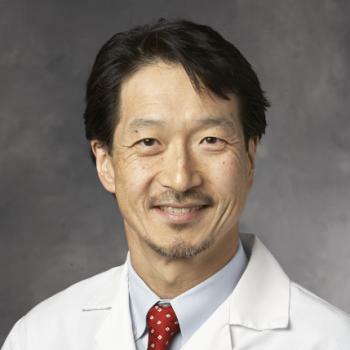 W. Ray Kim, MD, is the Chief of the Division of Gastroenterology & Hepatology at Stanford University. He formerly studied in Seoul, South Korea, and completed fellowships in gastroenterology and hepatology at the Mayo Clinic.